As a longtime Truckee resident and reader, I am very disappointed in the Sierra Sun and saddened by your disregard for our hospital. Why would you do that? Did you want to “sell” more newspapers, like a tabloid? My husband Tom and I have lived in Truckee for 40 years. We have visited friends in TFH recovering from surgeries or having babies (both of our precious godchildren were born there). We have each spent time on tables in the Emergency Room and Operating Room and as overnight patients in the West Wing. For six years, we visited Tom’s mother, Wanda Lippert, when she was a resident in the Extended Care Center there. She died in 2012 at age 99 under the loving care of the amazing staff. All of those experiences, ours and hers, were great, not just “good,” but great. 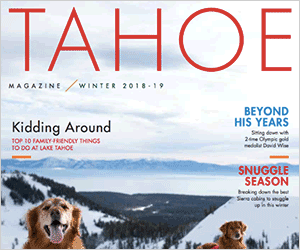 In 2006, I was honored to join the TFH Leadership Council, the hospital’s invitation to longtime respected citizens to share the future medical needs and expectations of Truckee and North Lake Tahoe residents. I watched Bob Schapper and his staff eagerly listen to our ideas and suggestions for improving all aspects of TFH for everyone who lives here. If and when Tom or I need to go to the hospital here, we will not be worried. I know that the care we get at TFH will be superior. We have friends now being treated at the Tahoe Forest Hospital Cancer Center who are relieved to be close to home and confident that they are getting the best care possible. I am extremely proud of Tahoe Forest Hospital and grateful for the exceptional doctors and staff who live and work here in our community. Many are also our friends. Are you aware that they and the TFH administrators have made it one of the top 100 critical access hospitals in the United States? In my opinion, your front-page headline was libelous. I think you owe the administrators and skilled medical professionals in the Tahoe Forest Health System, as well as the community, an apology.